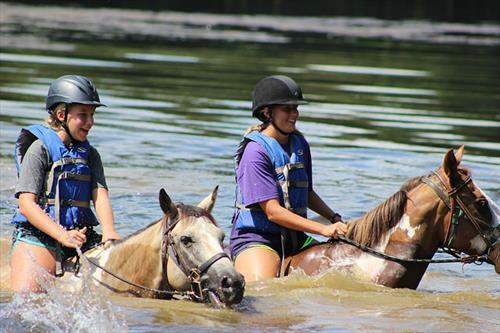 Come spend the summer of a lifetime at Chestnut Ridge Camp and Retreat Center in Elfand, NC sharing the joy of horses with kids! 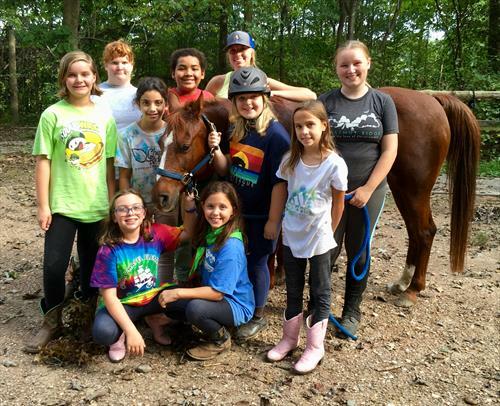 Opportunities for first aid/CPR certification, lifeguard certification, teaching, trail riding, swimming on horseback, off-site trips for trail riding, and doing lots of other great camp activities. An intensive summer camp counselor training program is provided. 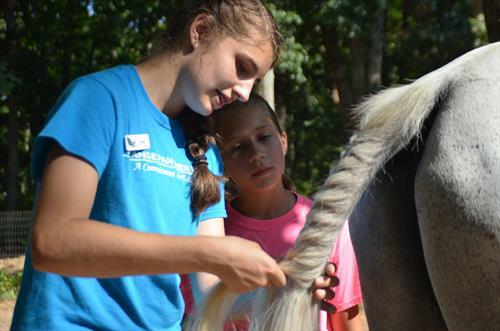 This is a live-in position, and horse camp counselors participate in all other aspects of camp life. Must be at least 18 years of age and able to attend staff training starting June 1. Preference given to those 21-23 years old. This is a full counselor position with responsibilities beyond just working with the horses. Counselors live in cabins with campers or in shared housing with other counselors of the same gender. All meals are provided. Cabins are air conditioned and most have bathrooms/showers inside. Some have bathroom/showers a short walk away. Working in a caring Christian community. Leadership experience. Great food! Fun atmosphere! Team environment. Beautiful trails. Pool, lake, hiking, and other activities. 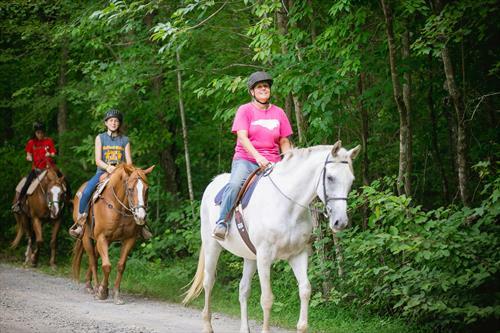 The camp and retreat center is made up of 362 acres, including hardwood forests, an 11 acre lake, 30 acres of horse pasture, and a community farm. 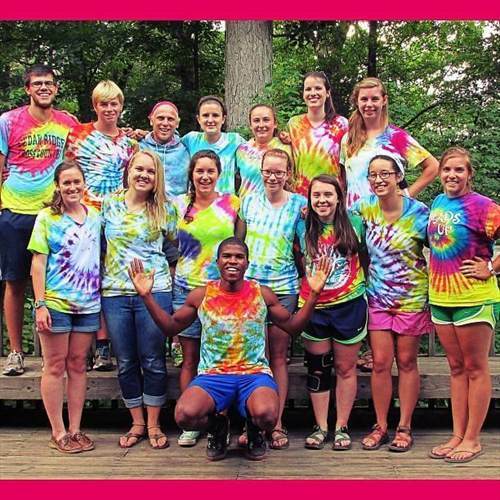 The camp is affiliated with the United Methodist Church and offers 10-11 weeks of day and residential Christian camp to children from kindergarten to high school. It is also a year-round retreat and recreation facility, offering a chance to get away for groups and families. 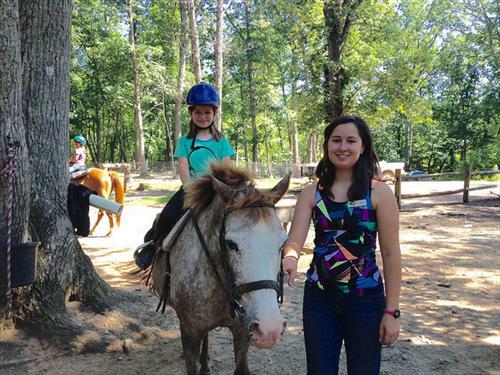 The equestrian program offers riding lessons, summer camp, and recreational trail rides. Riding is both English and Western. There are currently 22 horses.